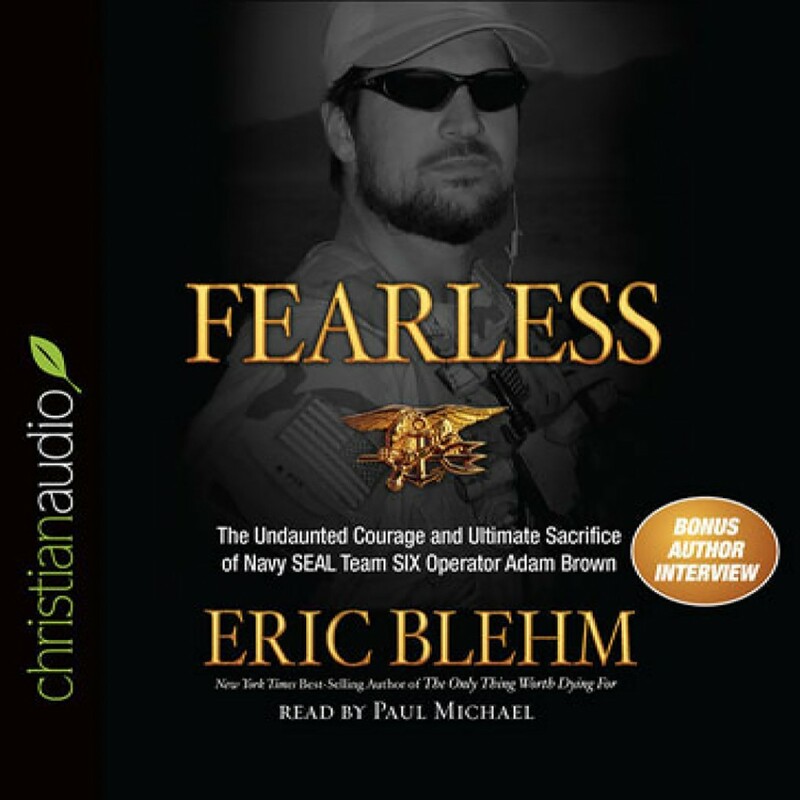 Fearless by Eric Blehm Audiobook Download - Christian audiobooks. Try us free. A very moving book. Clearly presents the faith that Adam lived by. A great lesson of God's ability to show mercy. I enjoyed this book immensely! The author did a great job telling the story and capturing the heart of this great soldier. Who is calling your name? Amazing. He is a true American hero. Makes me proud to be an American. Great book. He overcame in a big way! Great story of a real guy with faults and history going to the top of the top as a seal. The narrator is terrible. His attempt to change his voice for each person makes it absolutely unbearable to listen to. I really liked the book - it was written to communicate the high level of commitment that Adam had while also showing his personal difficulties. It was an honest look at a person that achieved great things even in the face of substantial personal prlblems. It should be noted that some of the problems were brought on himself and he seemed to take personal responsibility for them and push through. I have heard somewhere (I don't remember where) that courage is not an absence of fear. Instead it is the commitment to press through and do what needs to be done even when you feel fear. I saw this trait in Adam. The bad language in this book was not consistent with "Christian" audio! Wonderful story of a true hero. This book walks you through Adam's life from a young boy growing up in Arkansas, to hitting rough times with addiction, to amazing determination as a SEAL. The focus Adam had once he knew God is amazing. I found the SEAL training/missions to be the most interesting parts of the book. What sheer determination these men have. And even through everything Adam went through, still having that determination seems impossible! I've finished the book almost two weeks ago and still I think about it everyday. It's a MUST READ!